They enjoy all moments of happiness despite distinct conditions. Practical, logical, objective, amiable, diligent, persistent, fun-loving, common sense, traditional, social and tough. Materialistic, obstinate, dogmatic, intemperate, coquettish, easy-going, wilfully and lazy. Persons with ascendant Taurus stand firmly on their feet. They are no dreamers but realists. Their ideas are executed patiently and will be applied to reality. Just some fugitive thoughts they should become true finally. The execution of ideas shall represent a permanent value at which quality counts more than quantity. Changes are not desired but, however, tradition, habits and a particular status. In contrary to Ascendant Aries, Taurus is not keen on adventures – maybe such changes represent suspiciously, and they are not welcome. They look for stability, security and the feeling of security. These attributes are to be found by other persons that confront Ascendant Taurus. They are social and love to socialize – given by their precious skill to communicate and focus requests. Sensual, with body consciousness and appreciative – Taurus derive their strength from inspiration by other persons - by their bodily and mental strength. 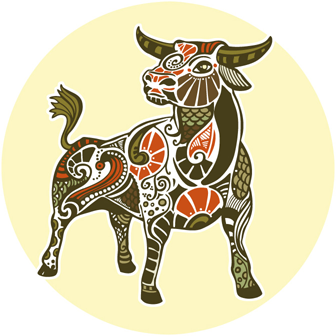 Ascendant Taurus tends to be prudent – they suffer from fears for the future. They are constantly in sorrow depending on fear of loss in general. By the way, they have to learn to come to know how to handle changes and experiences – to accept them positively. They could become obstinate and stubborn when pressure and stress dominate their life or their way to act. Their Descendent is Scorpio - caused by Scorpios influence Taurus will finally experience passion and energy.